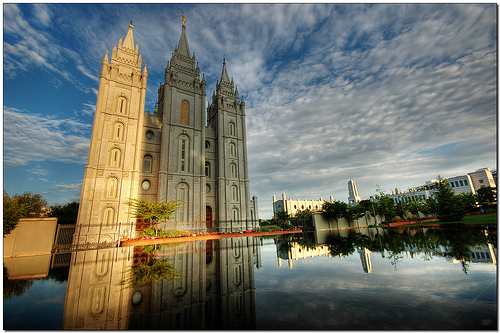 My wife and I are visiting Salt Lake City in the near future and want to see the most interesting historical sites the city has to offer. Our budget is low, so things that are free/cheap would be best, but if something is particularly interesting, we can pay a hundred or so dollars. What are the most interesting historical things to visit in Salt Lake City, Utah, with a low budget? For free, you can't miss Temple Square. Joseph Smith Memorial Building — Two restaurants, tours, and a free showing of Joseph Smith: The Prophet of the Restoration at the Legacy Theater. The Beehive House — A home of Brigham Young (second president of the LDS Church and first governor of Utah). The home is well-preserved and the tour is very interesting. It really gives you a feel for 19th century living (of a statesman, of course). Church Office Building — great view of the Salt Lake Valley from the observation deck of this 26-story building. North Visitor's Center — the highlight is a beautiful replica of the Christus. 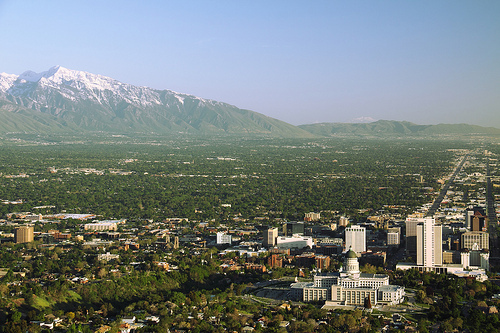 Ensign Peak has a great view and is a short and easy hike just minutes from downtown Salt Lake City. This is the Place Heritage Park consists of a monument to the Mormon pioneers' arrival in the Salt Lake Valley, as well as a visitor's center/shop and a village of preserved pioneer homes. There is a small admission fee. Not the answer you're looking for? Browse other questions tagged usa budget sightseeing utah salt-lake-city or ask your own question. Concentrated area of sight seeing opportunities in Bangkok, Thailand?